VoxBox and Influenster: Free Stuff! You are here: Home / Extra Cash / Misc / VoxBox and Influenster: Free Stuff! Influenster is a group of trendsetting, social media savvy consumers who give their opinion on popular brands and products that they use in their everyday life. These consumers share their opinion of products with their friends on Facebook and Followers on Twitter/YouTube etc. The most active members are invited to receive exclusive VoxBox programs where they get complimentary products from popular brands. Some VoxBoxes are filled with assortments of products, while others may feature just one brand. The more people you reach, the more likely you are to be chosen to receive a VoxBox. How can I be chosen to receive a VoxBox? In order to be chosen, you must unlock Expert Badges. The good thing is, you get to choose which badges you want to qualify as an expert in. You become an expert by getting high impact scores from filling out surveys, writing reviews and answering questions about products. The Impact Score is a measurement of your influence on the internet community. You can increase your score by staying connected socially and being active. You can earn 100 points just for adding the Influenster widget to your blog. Points can also be earned by inviting friends to join. Not all members are guaranteed to receive a box, so completing these steps will help increase your chances. To sign up just visit Influenster.com, fill out your profile and connect your Influenster account with your social media accounts. How often are VoxBoxes sent out? Influenster sends out multiple boxes from a variety of brands each month. These boxes may include products from categories such as health & beauty, grocery, fashion, and entertainment. After you receive a box you will need to check in the box and complete a survey. VirtualVox is also an option. These are digital and housed entirely online. Participants are asked to complete a series of activities on social media and have a chance to win prizes from the brand the challenge is based on. 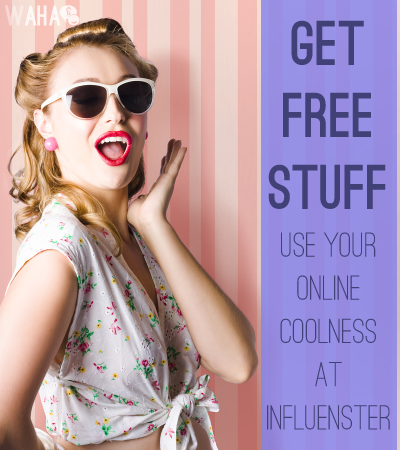 Influenster is a great way to use your social media and online popularity to receive free stuff. Visit Influenster.com to check it out and get signed up. Sherry Allen works from home so she has more time and flexibility to care for her triplet five year old boys! You can also find more of Sherry's work on a new site she is developing at VirtualCallCenters.com. There, you can find a directory of companies offering work from home call center work. You can use this link to sign up! It’s my invite link.